Sydney FC’s W-League team captain Teresa Polias became the first womens team player to reach the milestone of 100 appearances. 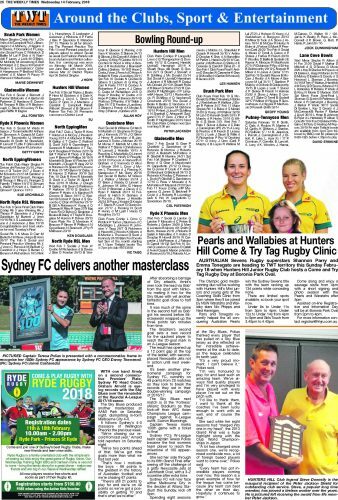 Nicknamed the “pocket rocket” by ABC commentator Phil Wilkins, she led her side through to its fifth Grand Final after seeing off the challenge of a gritty Newcastle Jets at Leichhardt Oval, with a 3-2 scoreline after extra time. Sydney FC will now face either Melbourne City in the decider at Allianz Stadium this Sunday, kick off 5pm. “It’s a very proud moment, I can’t believe it,” Polias said. She said while her eight seasons had “merged into one in my head”, the 2013 Grand Final was a huge highlight along with the Club World Championships in Japan. “A lot has changed since season one, we’re recognised worldwide now, a lot of foreign based players want to come over,” Polias said. Teaching at McCallums Hill Public School, Polias regularly sees her students at her matches as she said it’s always a special moment seeing their faces in the crowd, including her former student’s in the Semi-Final with his congratulatory sign in tow. 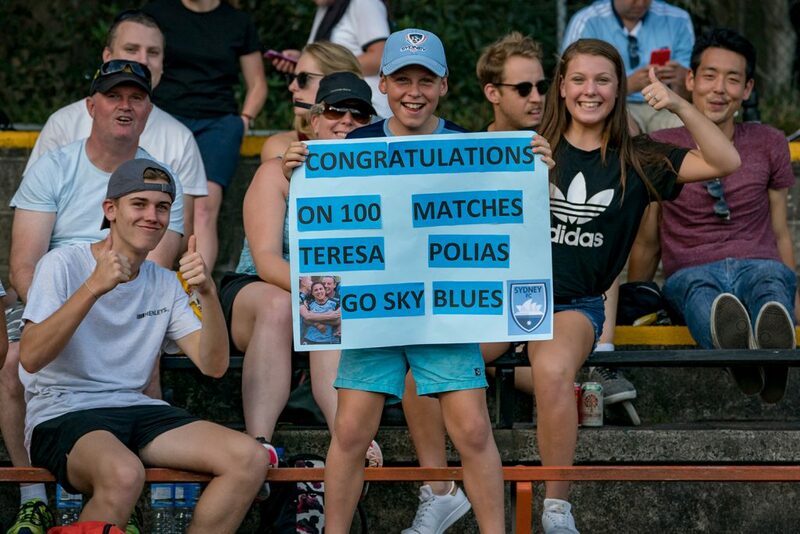 Ahead of the Sky Blues home Grand Final on Sunday, Polias said she was expecting to see even more familiar faces in the crowd, with the hype of Sunday’s decider already spreading throughout the school. “After Saturday’s game I got a pleasant surprise, I saw a student and his family that I’d taught a couple of years back and was still at the school I’m at,” Polias said. “I’ve had a few students over the years come out and watch. Every season I’ve been playing and teaching I’ve had some great supporters and a lot of students and their families come out to a lot of games which is really nice. “It means a lot to know that I have support from everybody in all areas of my life. More than anything I hope to show young girls especially that they can be what they want to be and follow their dreams as well and hopefully that might inspire them too. “I’m sure there will be a lot of people I know out there on Sunday, I know a lot of work colleagues and family and friends are going to be there. It’s going to be very special having a home Grand Final,” she continued. 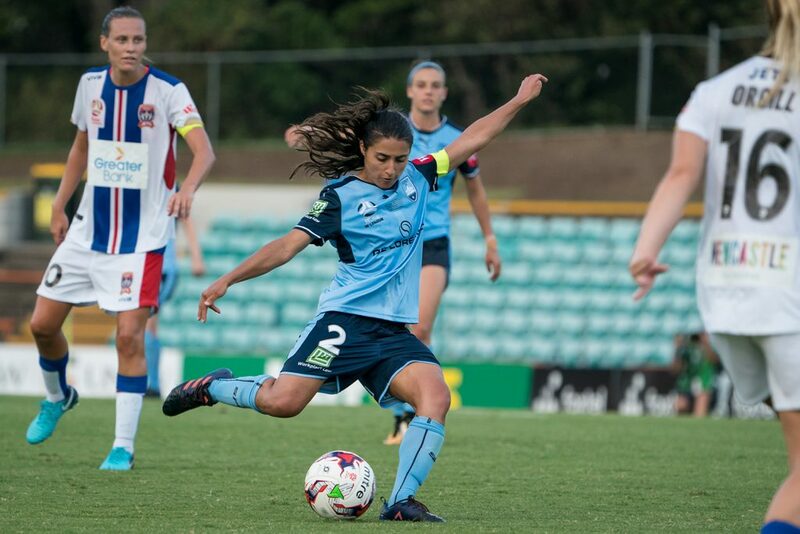 Coming up against the side in the decider that sparked the Sky Blues current 10 match undefeated run, Polias said her and the squad were eagerly awaiting Sunday’s clash at Allianz Stadium. “It’s such an awesome feeling [to be in the Grand Final],” Polias said. “I had a feeling that Melbourne would pip Brisbane but you never really know. Whoever we play, we know if we play to our best we can take the game. “It’s an interesting matchup, two big teams and that win against them earlier in the season set us on that run which makes for a really interesting final. It’ll be a tight contest and whoever is most clinical will take the game. Sydney FC take on Melbourne City in the 2018 Westfield W-League Grand Final on Sunday 18 February at Allianz Stadium (kick off 5pm AEDT).